Vodaphone to give upto 9 GB of free 4G/3G data to Nokia 3, Nokia 5 and Nokia 6 users. Recently there has been a partnership between the telecom operator Vodaphone and HMD Global, the new custodian of Nokia mobile phone brand. On account of which Nokia 3 customers will be getting 4GB of free vodaphone data. Also Nokia 5 and Nokia 6 will be getting 4 & 9 GB of free data from Vodaphone when it will be available in July. these free data will be provided after buying these phone . And will be available for both prepaid and postpaid. 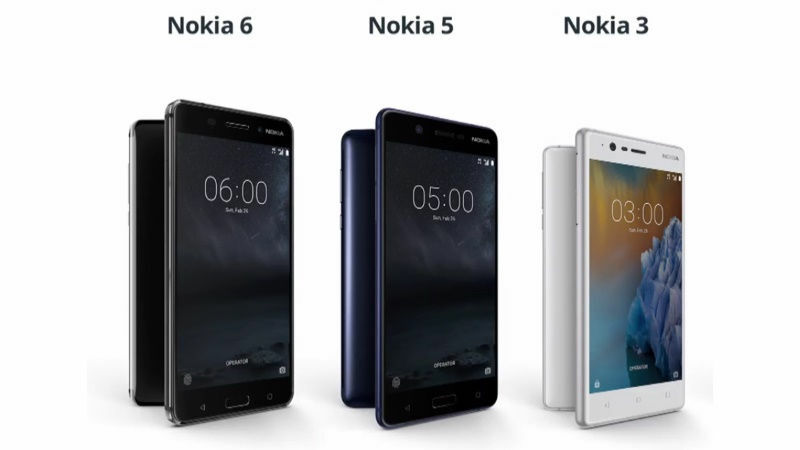 The new offer says that, the New Nokia 3, Nokia 5 and Nokia 6 users will be getting additional 4G/ 3G data. The prepaid users of Nokia 3 and Nokia 5 will get 4GB of addition data with the recharge of 1GB data of rs 142(for three months). That means user will get 5GB of data at the price of 1 GB. Similarly Nokia 6 user will get 10 GB of data at the price of 1GB data. As for postpaid subscribers, Vodafone says Nokia 3 and Nokia 5 users will also get the same extra 4GB data for three consecutive billing cycles, if they have a minimum of a 1GB data plan activated. Nokia 6 users will likewise get 9GB of additional 4G or 3G data. Previous articleWindows 10 Build 16232 for PC + 15228 for Mobile now available on Fast Ring!